Your kids will get hands-on instruction in the water from a team of experienced, energetic & positive coaches. They’ll enjoy a challenging environment, where they not only improve their skills, but also grow their love of the sport. We’re supportive, we’re helpful, we’re a team of swimmers, people who love swimming and want to help your children learn the same. We work tirelessly to instruct, challenge and inspire, all in a fun & positive atmosphere. Norman Swimming programs are open to swimmers of all ages and abilities, from bubbles to butterflies. We're more than just swim coaches; we're swimmers ourselves, who love the sport and love coaching others to improve their swimming skills and grow their own passion for swimming. Norman Swimming specializes in group and individual swim instruction for children ages 4 and up. 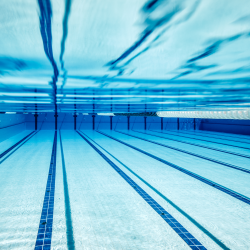 We provide comprehensive, hands-on coaching in the four competitive strokes (freestyle, butterfly, breaststroke, and backstroke), racing starts and turns, and spring training. All our swimmers receive personalized coaching based on their abilities and learn the necessary techniques to improve their swimming. While we work hard to enhance each swimmer's ability, we spend as much time encouraging their love of the sport. Many of the athletes in our program develop not only a passion for swimming, but also build lifelong friendships with their fellow swimmers. What's happening at Norman Swimming? Read our Latest News to learn about our new swim sessions, schedule and more. 2018 – 2019 Registration is open! 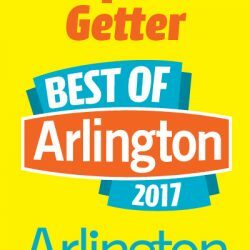 Norman Swimming is proud to be named as a member of the Best of Arlington List for 2017! Want to learn more about our programs? Interested in becoming a Norman Swimming coach? Just have a swimming question? Contact us.